And so I've tried to re-create my own version of my inspiration here! Here are a couple more of the Pinterest inspired looks I am hoping to recreate! 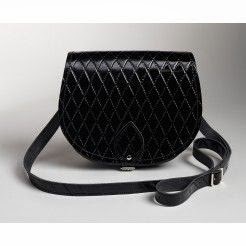 The Zatchel saddle bag is the smaller size of the 2 offered on the website......it is perfect to fit my purse, sunnies, keys, tissues and lippy! It is lovely quality and value for £65! The Birkie's are courtesy of Amazon here although Office has a 25% off voucher in Grazia this week!! Moving swiftly on to what I have actually been wearing this week...no sign of any sandals as it has been way too cold!! Brrrr!! It's a short, sweet and picture heavy post this week.....had a hectic few daysu! A busy weekend followed by cramming all my normal stuff into two days as I was lucky enough to get to spend today with my darling daughter as her teacher was off because of the strike action!! Anyway we dragged my mum/nanny along to the McArthur Glen outlet in Swindon where the little un' was spoiled rotten in Claire's.....however I am happy to report that I am sat here shining my halo as I bought nada!! Yes you heard that right....NOTHING!! Hoping I can hang out until April now before I make any more purchases.....counting down the days ;0) Can I make it until next week...lol?! I do love to read and respond to your comments.....always happy to hear your thoughts! Wishing you all a wonderful end of week! Snap H! I bought some Nike Free's too a while back after seeing them on Pinterest!! You are right they are super comfy!! I can't remember the last time I wore boots!! Bring on some lovely sunshine Sharron so we can break out our Birkies!! Gorgeous new bag Michelle & love your version of the Pinterest look that inspired you not to mention all your lovely outfit posts - looking as gorgeous as always. Bless you Andrea...lovely compliment!! I really do feel I have found my style niche now! It's been a long time coming but feel like I'm finally happy with almost everything in my wardrobe!! It 'll always be a work in progress though right?! Now you threw me a curve ball there with the Zatchels - I really thought you were going with the Longchamp! But nice pick - tell me, does the buckle bit annoy you a little or have they listened to the nit pickers like me and have changed it to a mock magnetic fastening instead? And love the black Birkenstocks - especially as they have the black hardware on them rather than the silver which makes them more sports luxe. Brilliant buys - I take my hat off to you! I threw myself a curve ball Sue! Had set my heart on the Longchamp...who knew I could be so influenced by one picture but the minute I saw the saddle bag I knew it had to be that style!! I think I might find the buckle a bit of a faff, it would be so much better with a magnetic clasp!! Love your bag! I bought the reptile vogue version a while back, wasn't sure I'd get much use out of it but I use it often. Great little bags. Your reptile vogue sounds amazing!! It is a great little size for all the essentials! I look forward to getting loads of use out of mine! Fab bag, it looks better in your photos than in the "official" ones! Agree with Andrea, you really have found your signature style. The Birkenstocks look good together with the red nailpolish! Can`t believe I`m saying this because they somehow remind me of my school time, we didn`t have uniforms but had to wear "Hausschuhe"(= shoes that are only worn indoors = Birkenstocks). If I bought some I`d go for the Mayari, they look almost like flip flops. Thank you Evi...I do agree with you, I feel I am now in tune with my style!! The bag is even lovelier in the flesh....it's not as rigid as it looks!! Well hello my fellow bag lover!! It's a cute bag isn't it!! I will be looking forward to seeing you also rocking the Birks this Summer too!! The bag is a beauty Avril, really chuffed with it! Are we going to see you any Birkenstocks this Summer? Hi I e just discovered your blog and I love it. I've just started one and I'd love your thoughts on it. A very eventful few days!